Casa Guadalajara was once known as Romaine’s Guadalajara Grill. 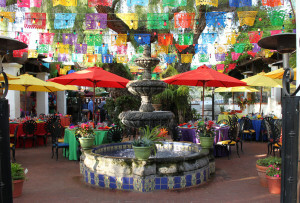 Upon discovering that Romaine’s former owner intended to cut down a majestic, 250-year-old California Pepper tree on the property to make way for a parking lot, Diane Powers purchased the land and transformed the restaurant into Casa Guadalajara – saving the tree and making it the focal point of the restaurant’s festive courtyard. Casa Guadalajara officially re-opened for business on June 12, 1995. To celebrate the occasion, Powers and Casa Guadalajara will be throwing a week-long fiesta, with special entertainment including Folklorico dancers, strolling troubadours and mariachis, and special promotions. Starting Monday through Thursday, June 22 to 25, from 4 to 7 p.m., a special “Happier Hour” will take place in the Garden Room with tequila vendors on hand to present a special seminar. Thursday and Friday, June 25 and 26, will feature a special “throwback” menu with five favorite dishes that date back to the original menu, each with a 20 percent discount, and a commemorative T-shirt giveaway provided by Casamigos Tequila. 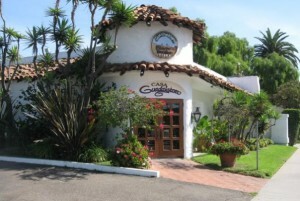 Come join the party and see why Casa Guadalajara has been a San Diego favorite for the last 20 years!